Gregorio Ocamica passed away at Mountain View Manor Jan. 11, 2014, following an almost three year battle with brain cancer. Greg was born to Concha and Manuel Ocamica on May 9, 1943, in Ea in the Basque Country of Spain. He immigrated to the U.S. in November 1962 and lived in Boise, Idaho, until coming to the Eureka area during the construction of Libby Dam. Greg was a driller by trade. During the Libby Dam project, he worked on the tunnel as well as the relocation of Highway 37 on both sides of the reservoir. In 1970 Greg married Melita Smith, and they had a daughter, Jennifer, and a son, Gregory. 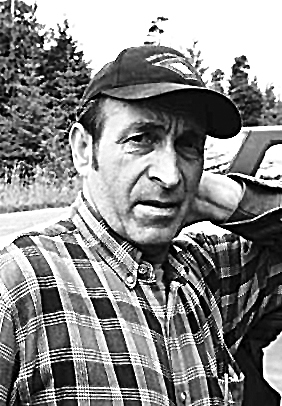 Greg worked on the Alaska pipeline, then moved on to Prince of Wales Island in Southeast Alaska in 1979, where he worked in road construction until his retirement. His hobbies were collecting old bottles and playing pool. Greg was diagnosed with a brain tumor in March 2011 and moved back to Eureka at that time to be near his children and grandchildren. He was a resident of Mountain View Manor from July 2012 until his death. Gregorio’s survivors include his children, daughter Jennifer, her husband Jeff Schermerhorn and their children, Lucia and Cooper, and his son Greg, all of Eureka; and Greg’s daughter Reina and her mother, Kristen, of Missoula, his sisters Connie of Portland, Maribel of Boise and his brothers Jose of Ontario, Ore., and Anton of Spain. He also leaves behind his former wife, Melita. Graveside services are planned for 2 p.m. Friday, Jan. 17, at Tobacco Valley Cemetery.